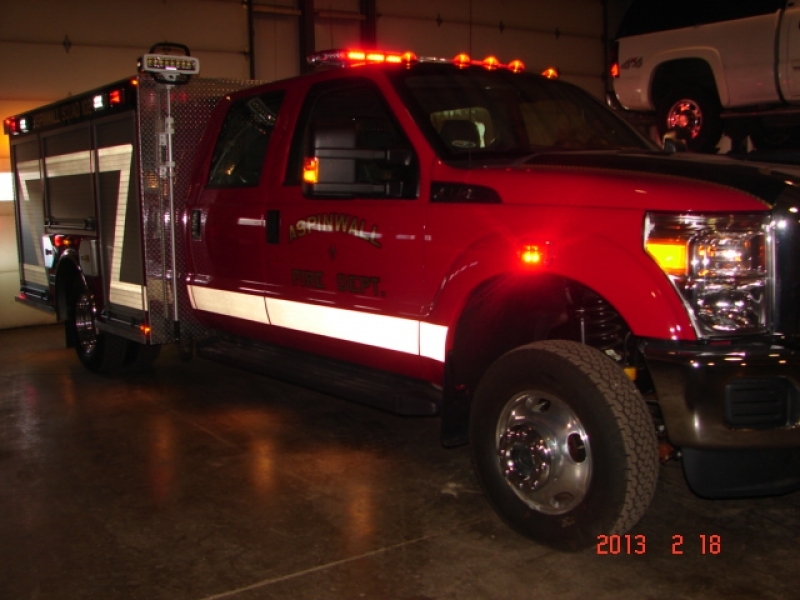 Squad 102 is a 2012 Ford F-350 4x4 with custom aluminum body built by Keystone Fire Apparatus. It replaces our existing Special Operations Vehicle and will act as a Light Rescue/Wildland Interface/Support Vehicle. It has two-telescoping LED Flood Lights, carries a Hurst Combi-Tool and Portable Hydraulic Pump, high lift jacks, hand tools, air cutter, oil dry and additional cribbing. For Traffic Control it carries 12 28" traffic cones, Stop/Slow Paddles, portable "Accident Ahead" Sign and road flares. For Wildland fires it carries 500+ feet of 1" forestry line, 5 gallon soft Indian tank, "Pulaski" axes, shovels, brush rakes and brooms. Also on board are a portable Honda generator/light, submersible pumps with hose, fire extinguishers, small tools, and hand lights. 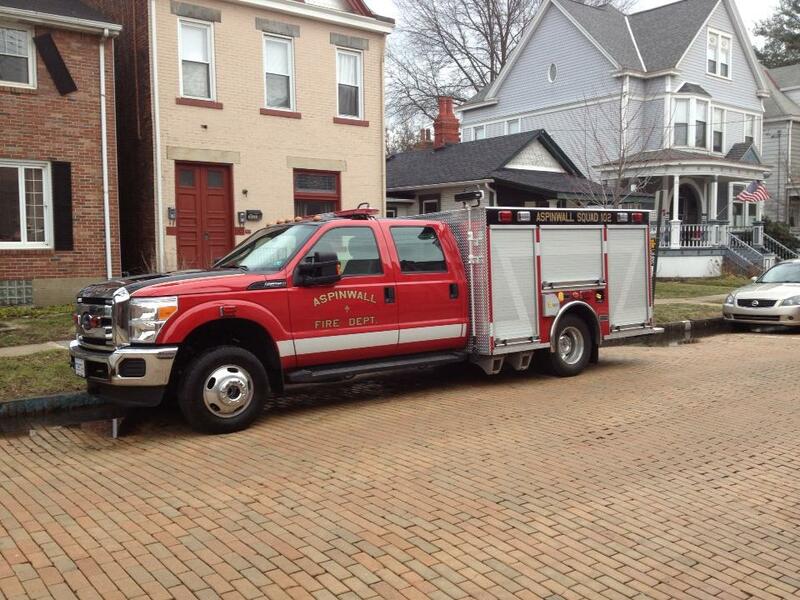 It will soon replace Engine 1 as our second Quick Response Service (QRS) unit. 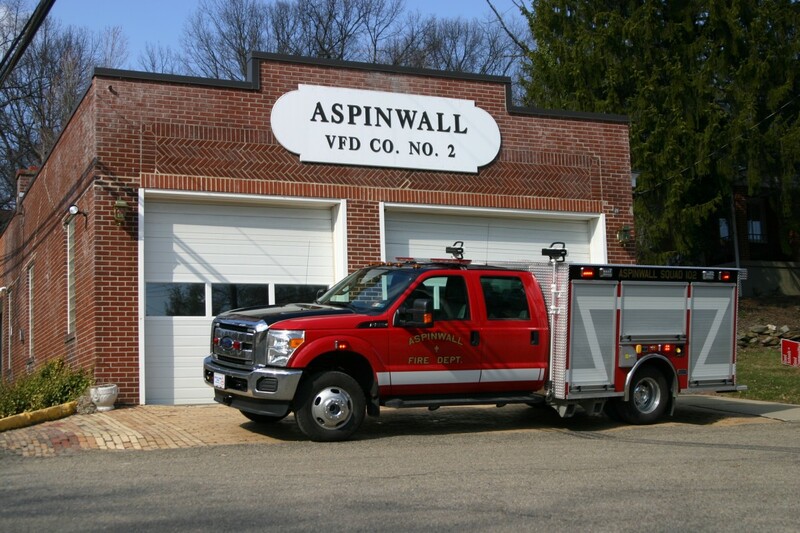 This unit was placed into service on February 26, 2013 and is currently housed at Station 2.